I just can’t get the image out of my head, and since I can’t, you shouldn’t be able to, either. 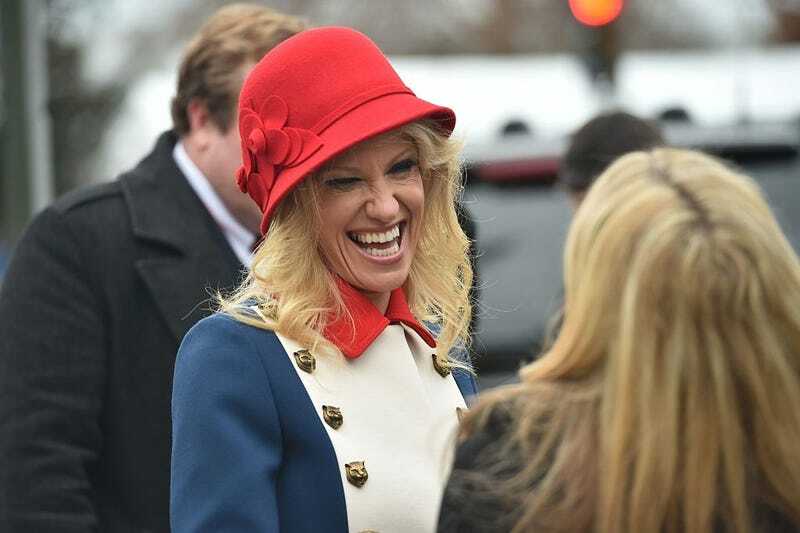 The above photo is of Kellyanne Conway at President Asshat’s inauguration. The picture below is of the fashion-forward Paddington Bear. Also, who wore it better?